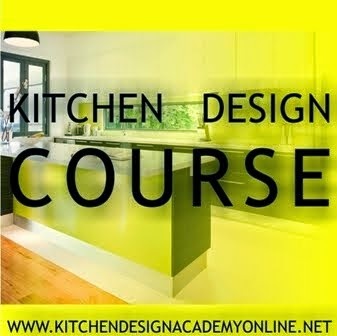 Exciting news from the Academy for 2015: our team of academics are working on writing several modules in Bathroom design to complement our kitchen course. We will keep you posted. Alessandro Andreucci was born in Macerata in 1968. After graduating in mechanical engineering, he studied industrial design at the State Academy of Arts at Stuttgart, in Germany. He started work in Munich, in Germany, with Siemens Design & Messe and then with System Design. In 2000 he returned to Italy to join iGuzzini Illuminazione, working mainly on designs by the Renzo Piano firm of Paris. In 2003 he lived and worked in London, working in particular with the Ron Arad firm. He has had his own industrial design office since 2004. He works on a permanent basis with Christian Hoisl, a German designer with office in Munich, with whom he won the Red Dot Award, for the Pan chair by Garpa, in 2010. Also in 2010, Ombrella, a Viabizzuno design developed with Mario Nanni, was selected for inclusion in the ADI Design Index. His clients include Ernestomeda, Emu, Garpa, Viabizzuno, Arca, Alivar, Hotz&Hotz, Egro AG and Siemens. Emetrica’s minimalist elegance generates a style of harmonious restraint, expressed by discreet lines drawn by horizontal grip grooves and full-height handles, that blend into the surrounding environment with original, highly functional features. 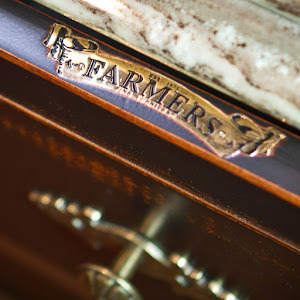 The doors, handles, hoods and work-tops are all especially thin, giving the kitchen a distinctive appearance. Emetrica is also uniquely tactile, thanks to the warmth and temperament of the wood-effect surfaces with Hi-melamine finish, a pleasure to touch. Toncelli pursues its history creating unique and inimitable products. The continuous search for exclusive materials has actually created the difference and led the way forward. Hence the choice of ITALIAN MANUFACTURING as identity of the factory: “the work of man”. The quality of Toncelli lays in continuous processes that transform the material and make it a unique piece thanks to our craftmanship. Giving life to the materials identifies the idea of making the product. “We do not use the materials but we forge them in our own image and likeness. 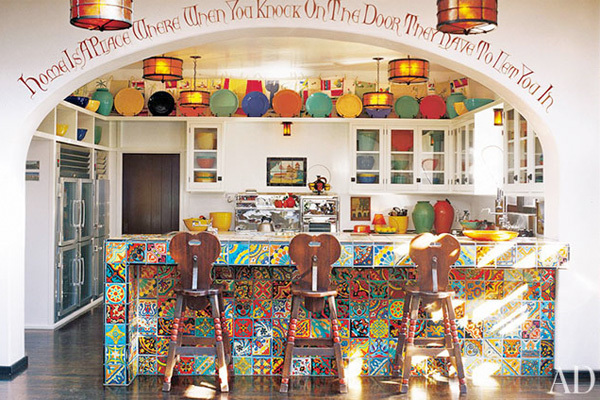 Each kitchen has a unique and unrepeatable history"
Recognizable by its handmade beveled door. Minimal design, but full of charm. The tops seem to be floating and light while still using massive materials like cement mousse or the most precious natural stones. Carbon fiber is a state-of-the-art, innovative composite material, made up of woven filaments combined with a carbon matrix: a solution which guarantees the support considerable mechanical strength and excellent resistance to changes in temperature and attacks by chemical agents. Essential, characterized by primary geometric and linear forms, enriched with advanced home automation systems that can transform the kitchen into a highly innovative and versatile product. 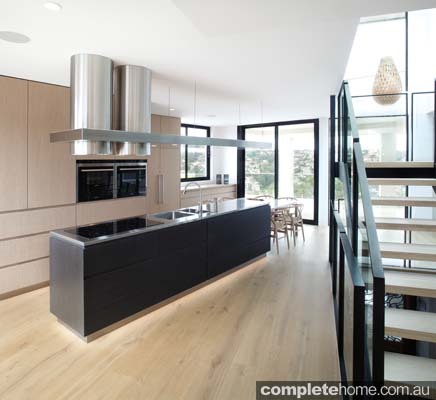 ?The style is contemporary, the kitchen is creativity waiting to be discovered. Nantìa is an evocative project inspired by the traditional kitchens of high-class worldwide residences characterized by cosmopolitan culture. The traditional cupboards, the generous stylish hood and the professional cooker are classic elements redesigned in a contemporary and professional outlook that make Nantìa a kitchen of great price. 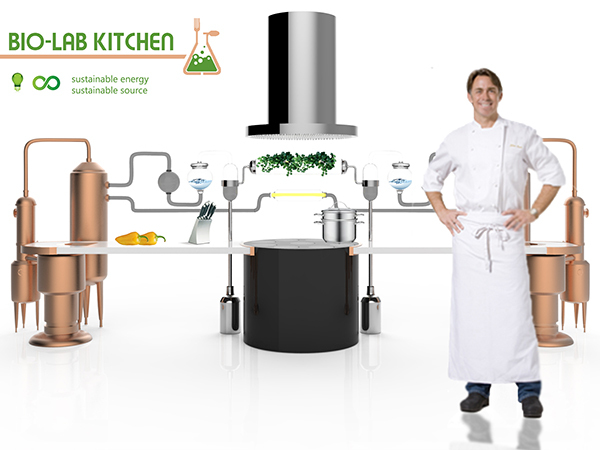 The BIO-LAB Kitchen takes inspiration from the concept of creating sustainable food products by manipulating biological systems. 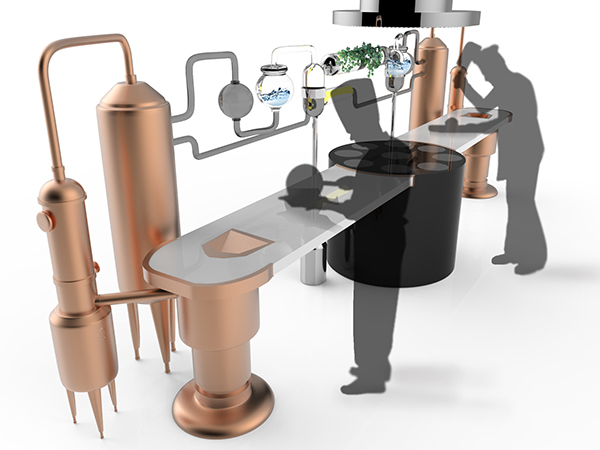 At its heart, it uses special bacteria that ferment the food waste composite to create water and energy sources. 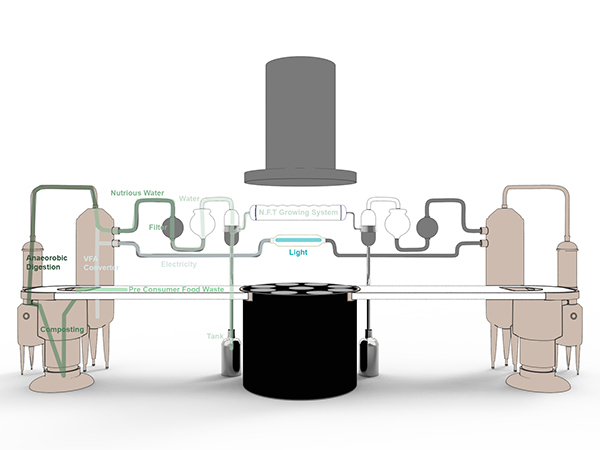 One type is bioelectricty, which can be produced using scraps that nano-bacteria use to create a chemical reaction that translates into energy. 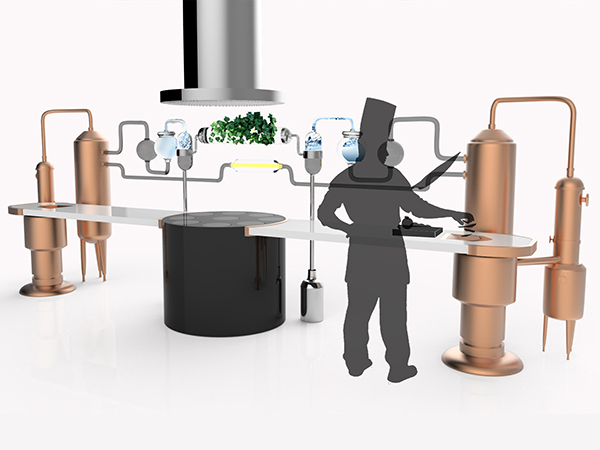 As you’ll see, it really is a food lab! 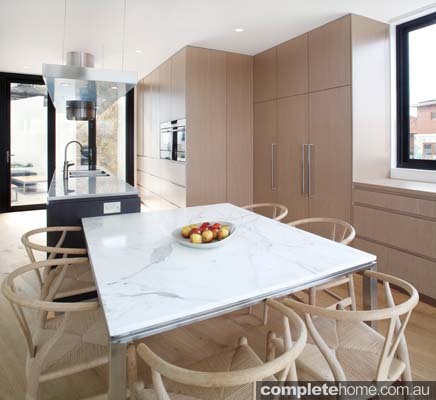 The brief also demanded a comfortable dining area for at least five people, so a custom-made table was commissioned. 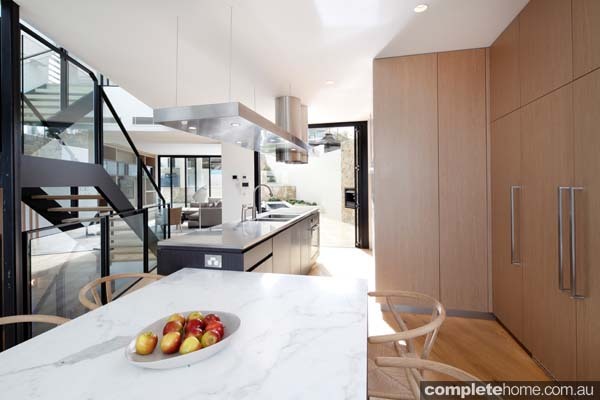 Two different tones of veneer coupled with stainless steel and marble make this a standout project, and the stainless-steel benchtop is mirrored in the floating light plane above, a unique feature and one that really draws the eye. 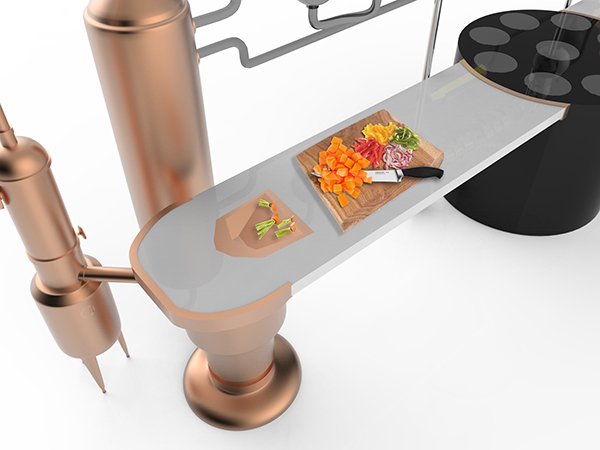 HI-MACS® is ideal for working with food. 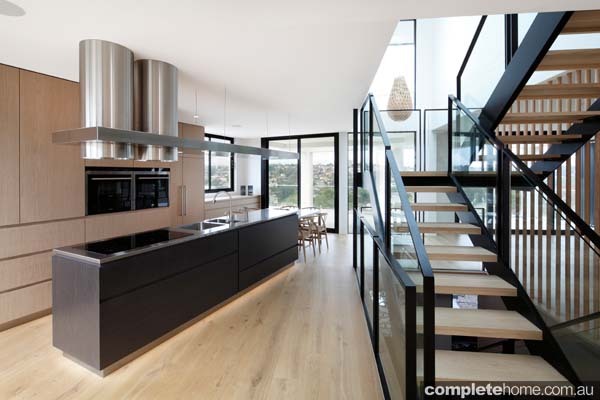 The smooth, non-porous and dirt-repellent surface is easy to clean, kitchen countertops made of HI-MACS® are also exceptionally resistant to heat and household chemicals and even counters, tables, unit and cupboard fascia panels can be produced from the material of limitless possibilities. HI-MACS® also offers an extensive range of matching sinks and bowls that can be incorporated flush into the kitchen countertop. Special made-to-measure products are also simple and easy to produce.